It’s Valentine’s Day and what better way to say I love you then a little Barry White in the background. Curl up on the shag rug with the man/woman your dreams or-of-the-moment fantasy and get ready to pass the Cavasia. We all need a little love, baby. Uncle Barry looks like a handsome walrus who just ate a green watermelon that grew in disco garden – but dag can that man sing. Anytime you need a pick-me-up or excuse to get down, Uncle Barry will christen any moment with a little tongue-kiss of love. Pucker up with some sweet strawberry rhythm and put the fire department on speed dial because it’s going to get hot up in here this Valentine’s Day. This is a video from 1975 of Barry White and Love Unlimited Orchestra doing their thang in London . That is the sweat of a man who knows how to love, share love and make love. You know if you were in the front row and got dusted by Uncle Barry’s sweet sweat that you would instantly turn into a little cupid angel that could shoot arrows of preciousness and disco watermelon two-piece suits. 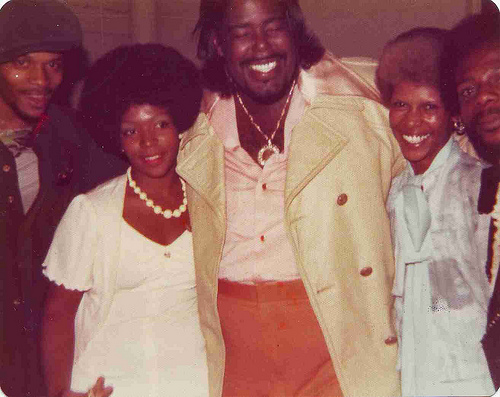 This entry was posted in Uncategorized and tagged Barry White, Barry White 1975, Barry White concert in London, Valentine's Day. Bookmark the permalink.